This exciting magazine showcases the discoveries, inventions and excellence of UD's faculty, staff and students. 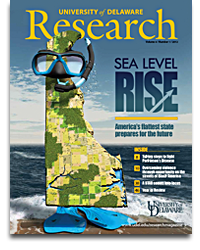 Our latest issue showcases our research efforts on sea level rise, a serious issue for Delaware, the flattest state in the U.S. Preparing for a "new normal"
Is new technology redefining citizenship? INDIA: UD researchers are working on more than 20 projects with colleagues in India, from the PDShoe, to clean water and environmental issues. India is the world&apos;s largest democracy, with 1.2 billion people. 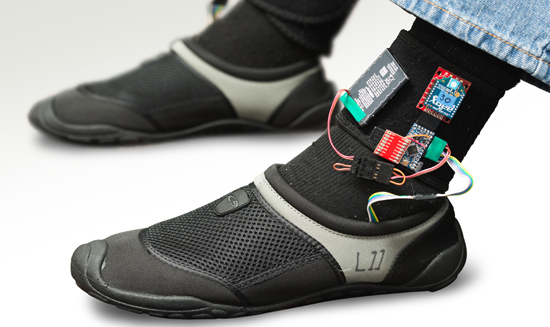 UD’s PDShoe is an ordinary beach shoe equipped with force sensors and a vibration system. Parkinson’s disease (PD) is a neurological thief that robs people of control over their own bodies. Now, the PDShoe, an ordinary beach shoe equipped with force sensors and a simple vibration system, shows promise for managing one of the most distressing symptoms of PD—freezing of gait, which is an episodic inability to step effectively. The PDShoe was developed by the research group of Sunil Agrawal, UD professor of mechanical engineering, with support from the U.S.-India Science and Technology Endowment Fund. Agrawal and Ingrid Pretzer-Aboff, assistant professor of nursing, are collaborating with neurology and physiotherapy faculty at the All India Institute of Medical Sciences (AIIMS) in New Delhi to evaluate and pilot test the PDShoe, which aims to help subjects with PD to walk more steadily and smoothly. Kyle Winfree, a doctoral student in UD’s Biomechanics and Movement Science program, explains that the vibration in the robotic shoe is synchronized to the heel strike and toe-off of the person wearing it, so it delivers a vibration every time the foot strikes the ground. Thus far, the team has done three pilot studies, two at AIIMS and one at UD, with a total of 27 subjects. The researchers evaluated two measures: stride length and stance-to-swing ratio (basically a measure of how long it takes the person to complete a step from start to finish). 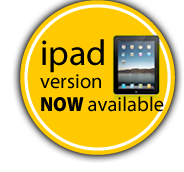 Subjects included patients with PD, and healthy individuals who served as a control group. Although the PDShoe has been tested on very small pools of subjects and with limited variables to date, the researchers are collecting a wealth of data that will be valuable in directing future research, evaluating patients and shaping new therapies. The team’s main goal now is to use their pilot study findings as the basis for a larger study to further demonstrate the effectiveness of the treatment. They are also considering ways to reduce the cost of the PDShoe by taking advantage of cell phone technology. While a robotic shoe that can “reprogram” the mind for better motor control might seem futuristic, its foundation was actually laid in the 19th century when French neurologist Jean-Martin Charcot found that many of his patients reported an improvement in their Parkinson’s symptoms after they took long carriage or train rides. Charcot developed a “vibration chair” to treat these patients, but he died before the therapy could be evaluated. Researchers and clinicians have recently begun to revisit Charcot’s idea, and there is evidence to suggest that various cuing mechanisms—auditory and visual as well as vibratory—can unfreeze the gait. She points out that the shoe offers a number of advantages: It’s not invasive, it’s relatively inexpensive and it can be easily integrated into daily life. It also offers the opportunity for researchers to collect data remotely while patients are in their own homes, providing a more realistic picture of their abilities and behavior. The PDShoe can’t cure Parkinson’s.But with nearly a million Americans living with the disease and another 60,000 diagnosed each year, it could certainly have the quality-of-life impact that Pretzer-Aboff is seeking. She sees the partnership with Agrawal as invaluable in bridging the gap between engineering and health care. Video: See the PDShoe in action. 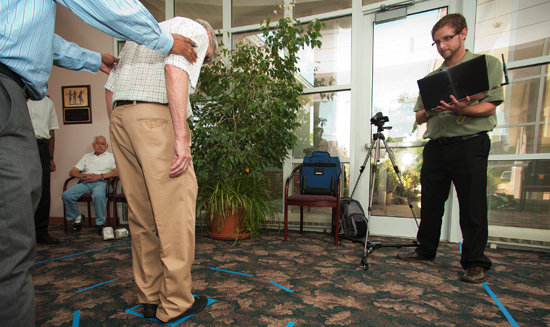 Kyle Winfree, UD doctoral student, conducts tests of the PDShoe at the Newark Senior Center in Delaware. Kyle Winfree is a perfect example of the bridge between engineering and human health, and he found the perfect home for his passion in UD’s Biomechanics and Movement Science (BIOMS) program. The BIOMS program—which includes faculty from the colleges of Health Sciences, Engineering, and Arts and Sciences—offers graduate students the opportunity to study in a variety of areas that cross traditional academic boundaries. When Winfree first arrived at UD as a doctoral student, he joined Sunil Agrawal’s research group in the Mechanical Systems Lab, where he worked on an actively driven leg exoskeleton known as ALEX. The robotic device can modulate foot movement using motors at the joints, helping stroke survivors regain leg function and improve their walking ability. After Winfree had worked on ALEX for a year or so, Agrawal approached him with a new idea—the PDShoe. Winfree teamed with David Hilgart, who had conducted undergraduate research with Agrawal on the project at UD and is now a graduate student in bio- engineering at the University of Utah. Again, Winfree welcomed the challenge of matching the engineering to the biological challenge. But just how did Winfree become interested in working with Agrawal in the first place? Well, that’s a longer story. He explains that his parents live in Anchorage, Alaska, where they saw an article about Agrawal’s work on infant mobility with physical therapy professor Cole Galloway at UD. Like Agrawal, whose projects touch on both ends of the lifespan, Winfree plans to come full circle when he finishes his Ph.D.